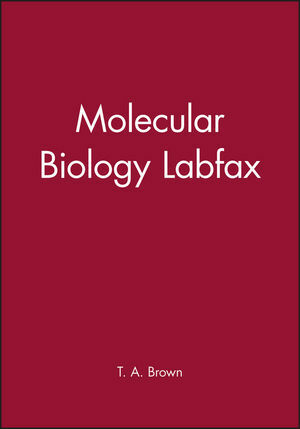 Molecular Biology Labfax is a detailed compendium of essential information - on genotypes, reagents, enzymes, reaction conditions, cloning vectors, etc. - needed to plan and carry out molecular biology research. Detailed protocols are not included. However, where appropriate, the possible approaches are described and current bibliography to important methods are listed as reference sources for the reader. Molecular Biology Labfax is a natural companion to the many laboratory methods books available, and will prove indispensible. T. A. Brown is the author of Molecular Biology Labfax, published by Wiley.